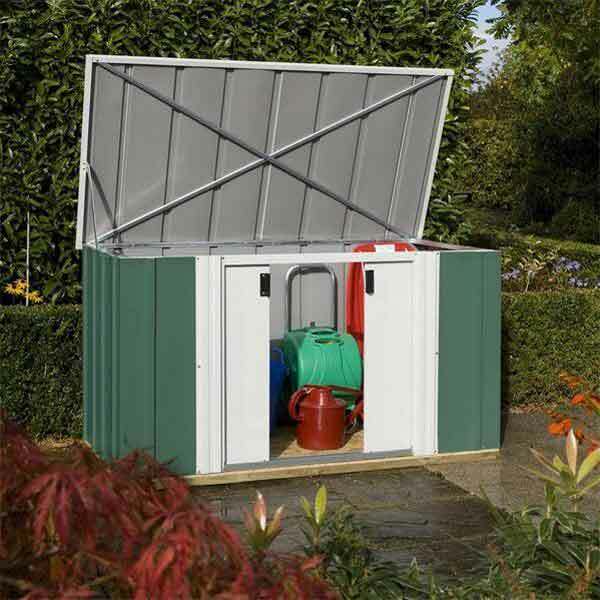 This sturdy 6x3 metal garden shed is a handy storage option providing a convenient place to store away your garden items. 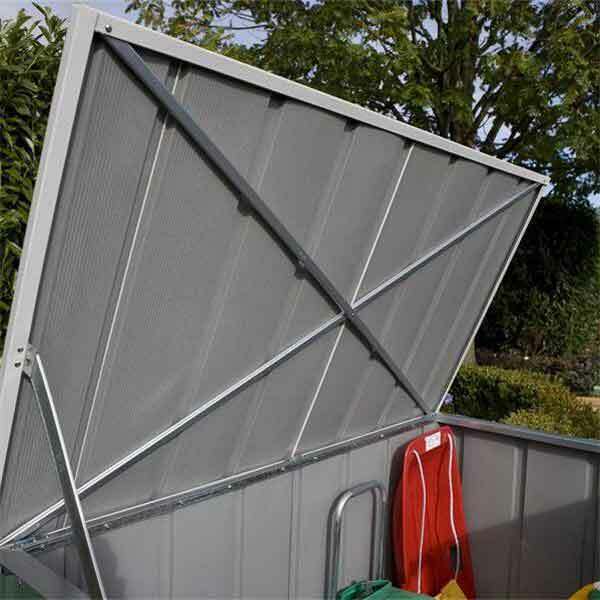 This metal shed is fire resistant and is completely weatherproof, as well as having no chance of rotting or rusting due to the construction material. 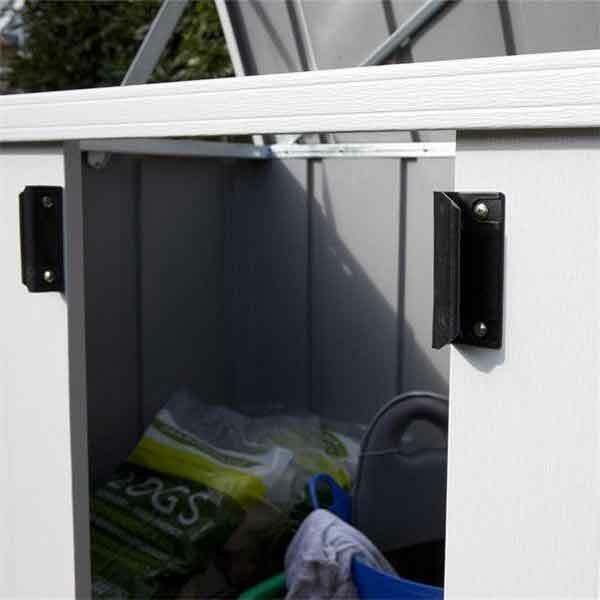 The shed has double lockable sliding doors which add security for your belongings, the sliding features optimises the internal space. This storage has lifting lid for multiple access points. 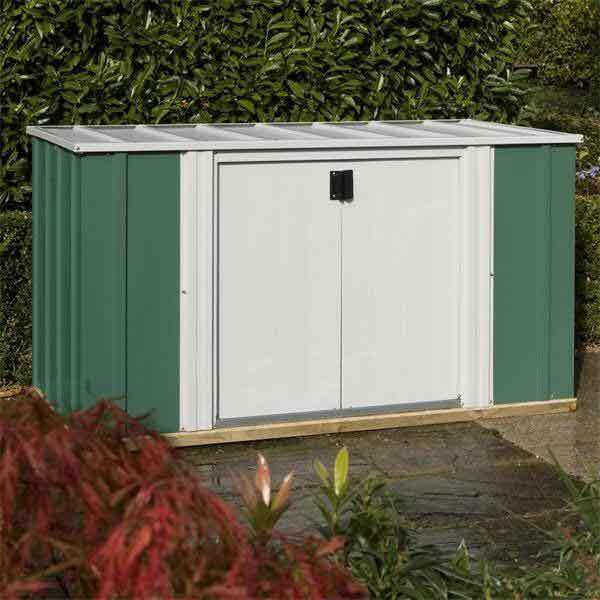 Pre-painted in green and white for ease and low maintenance, this storage shed comes without flooring.